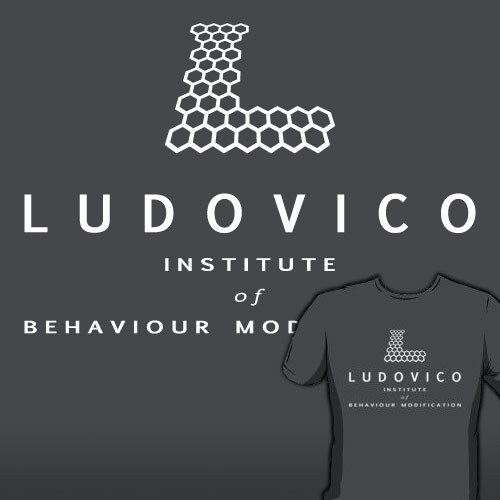 The techniques used at the Ludovico Institute of Behaviour Modification may be controversial but the results are undeniable, just ask Alex. He was just upset that all he got out of it was a T-shirt. The Ludovico Technique was used on Alex in the film A Clockwork Orange. The design is based on the logo of the Torchwood Institute. Also available with dark text on a light shirt. Also available on iPhone cases from RedBubble.